This is a Wholesale Lot of 144 wands. A perfect gift for the perfect princess! This takes any typical wand to the next level. It lights up, it has feathers, and it has hearts! hearts! hearts! Perfect for a girl's birthday--young or old! There's no reason why any girl shouldn't be a princess for a day. With 6 different light up modes, the party doesn't stop. You can have the wand flash green, red, or blue! With the strobe mode, you can wave the wand around to make really cool rainbow effects! 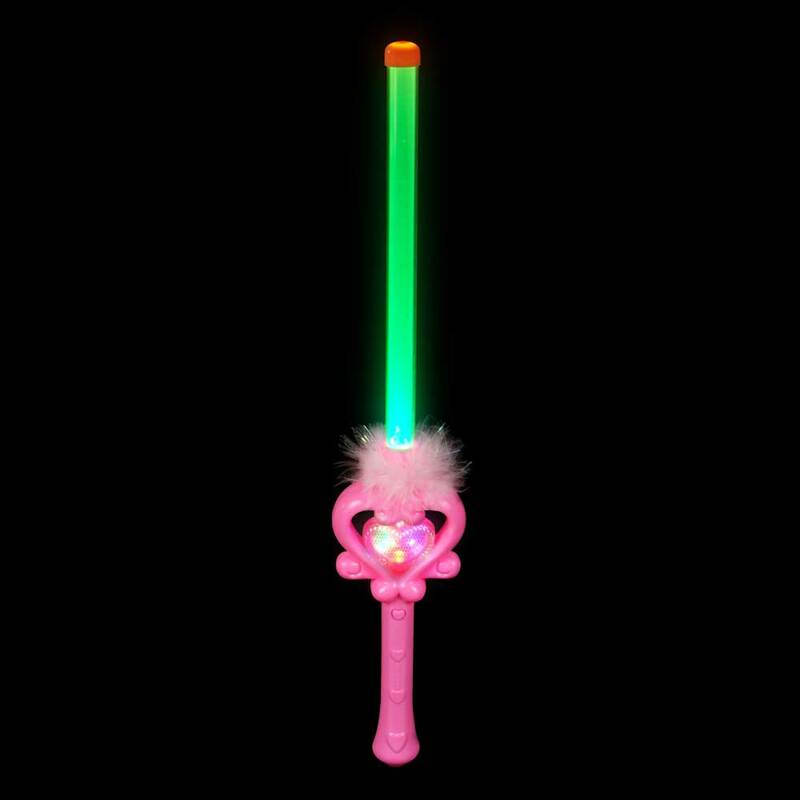 Stay beautiful, happy, and bright with this light-up princess wand! Uses 4 x LR44 batteries. Easily replaceable! Has 6 modes including strobe (heart flashes too), solid-on mode, flashing blue, flashing red, and flashing green!